Make a garland of pretty fabric tassels with this quick, and easy project. 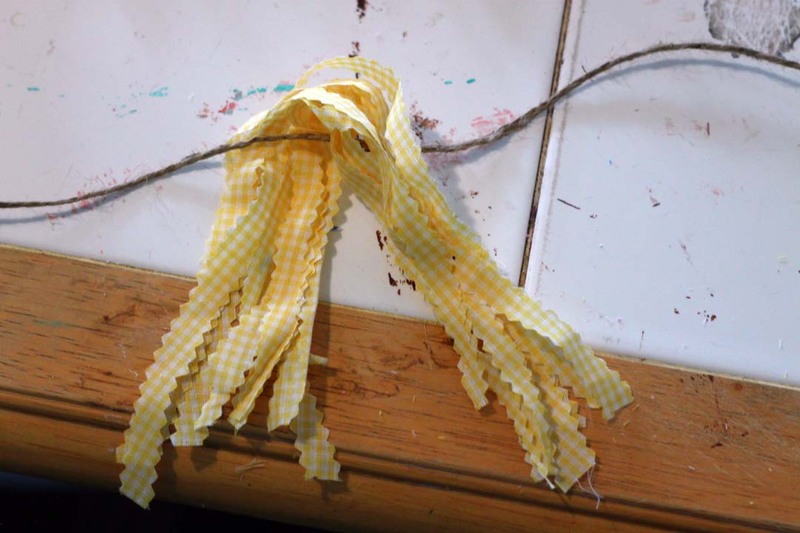 To begin the tassel making process, cut strips about 1/4-inch wide from your fabric. 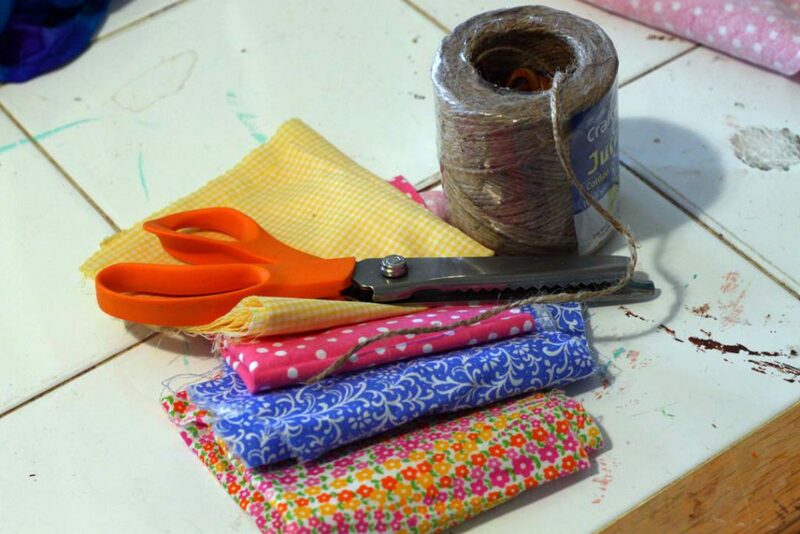 Depending on the size of your piece of fabric, you may want to fold the fabric in half, or thirds to reduce the amount of cutting you need to do. Mine were small pieces, so I folded them into thirds. Next decide how long you want your tassels to be, and cut your strips of fabric to be about twice that length–you’ll fold the strips in half, so your tassels will be half as long as your strips. 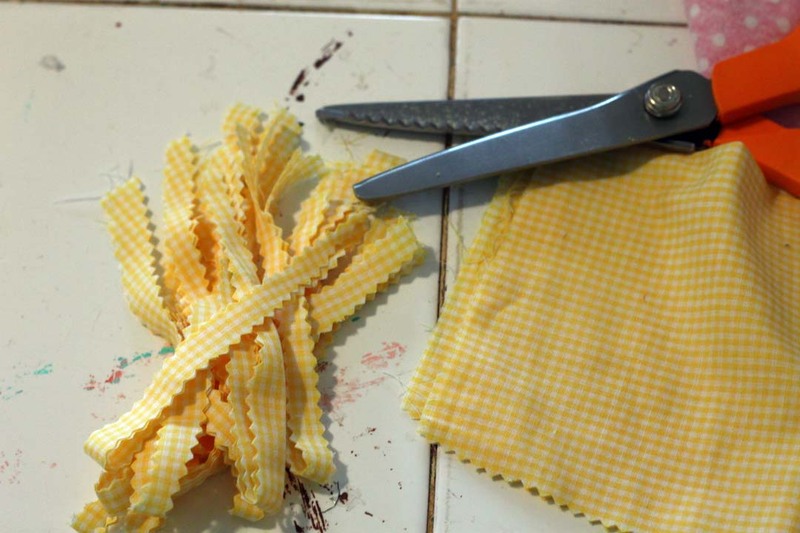 Lay your strips into a pile, pattern sides facing down. How big your tassels wind up being depends on how many strips of fabric you use–I used 10-strips per tassel to make the size that I did. 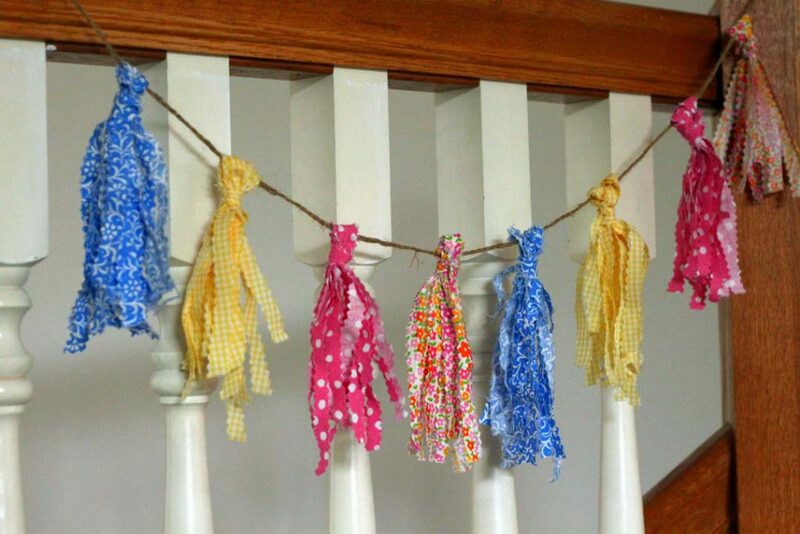 Cut a length of jute twine long enough to span whatever space you want to decorate with your finished garland. 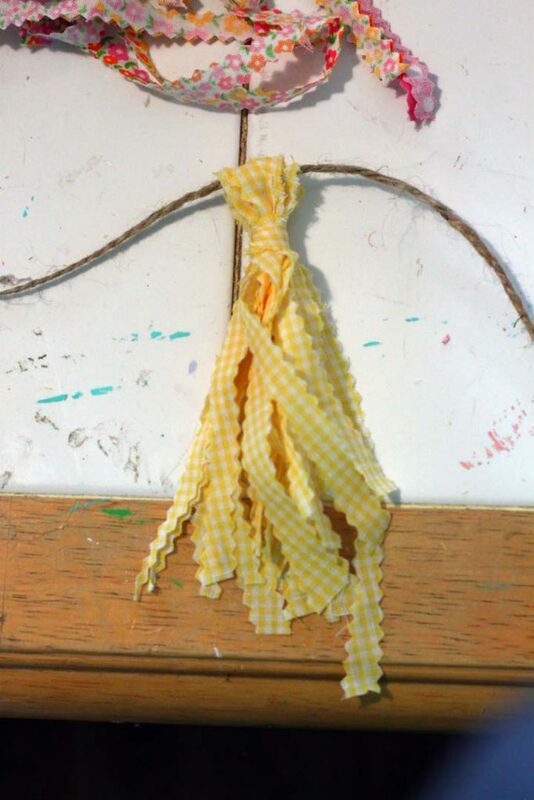 Take the first pile of fabric strips, pattern side down, and center it perpendicularly under the length of jute. 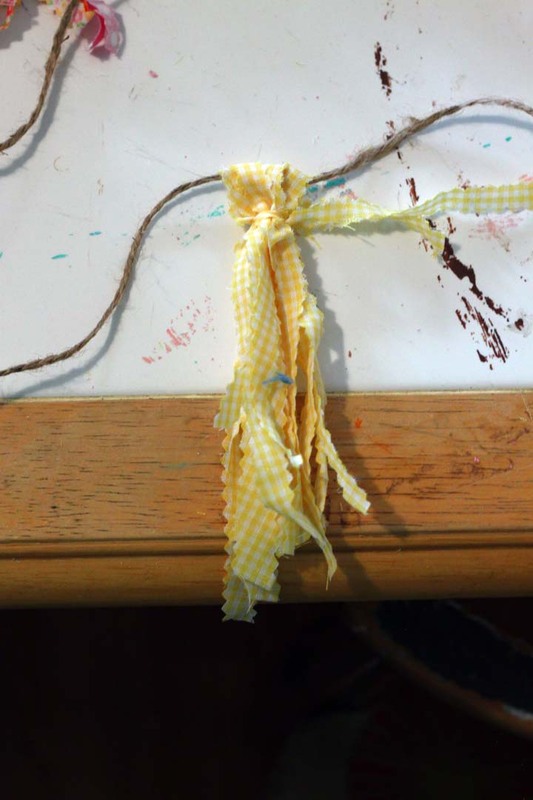 Fold one end of the fabric strip bundle up and over the jute. Gently pull your bundle together so the fold is firmly against the jute, and then ends are all somewhat even. Take another strip of fabric, and tie it around the bundle of strips about 1/2-inch from the top, below the fold–leave the tails of the strip long, do not cut them off. Taking one of the long tails of the strip you just tied, begin wrapping the strip, pattern side facing out, around where you initially tied the bundle together. Keep the strip flat, and wrap several times, using the second tail to tie a knot when you’re done. Now tie off any little tails that are left. Continue making tassels along your jute until you are happy with the amount–you don’t need to worry about evenly spacing them yet, as you can slide them around when you’re done. When you’re done making tassels, slide them back and forth on the jute so they are evenly distributed. 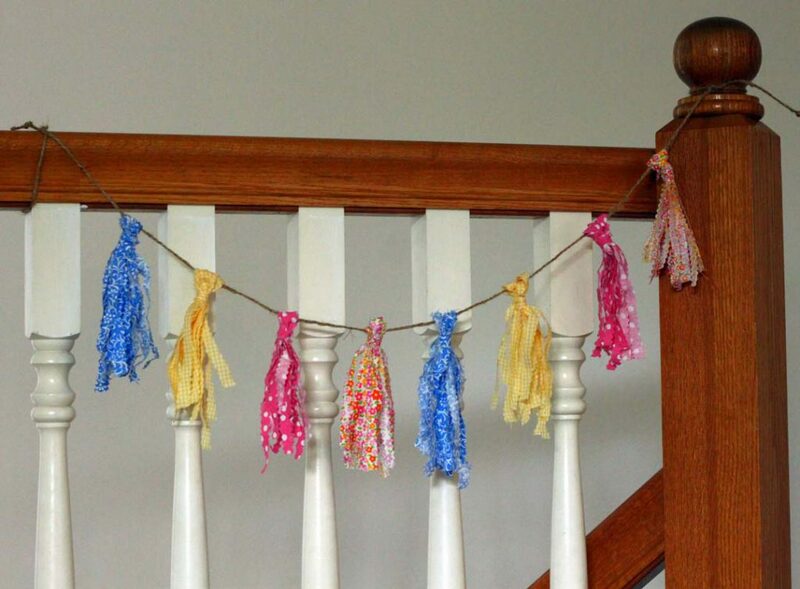 These tassels would make fun party decorations, would be a simple project for kids to make to hang in their room, or just a great stash busting project for your fabric scraps. 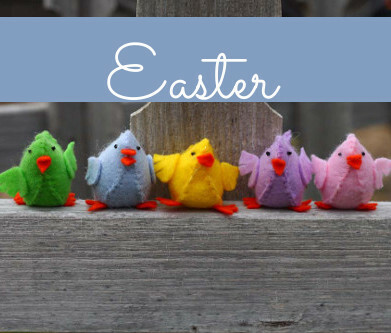 Try making longer, or shorter tassels. 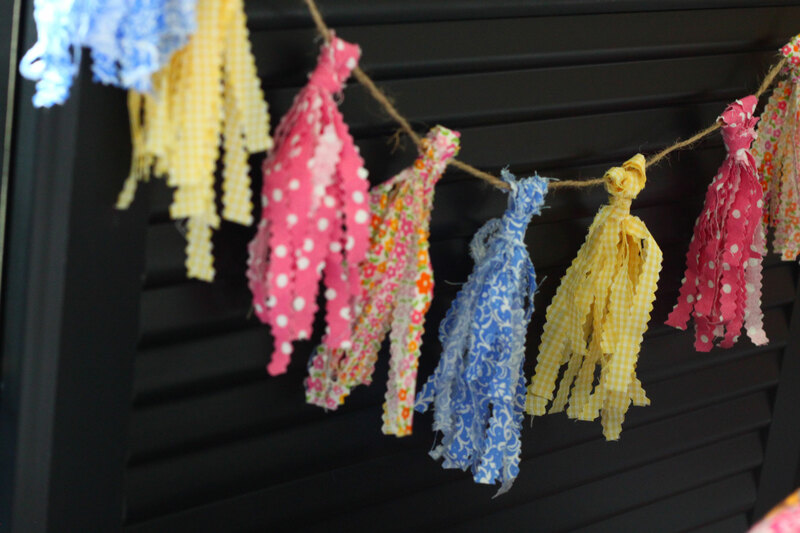 Vary the colors or fabrics within each tassel, rather than making the tassel with one single fabric. 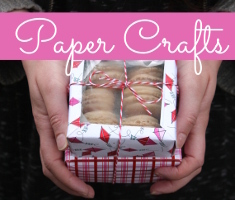 Try making fatter, or thinner ones. The possibilities are endless! 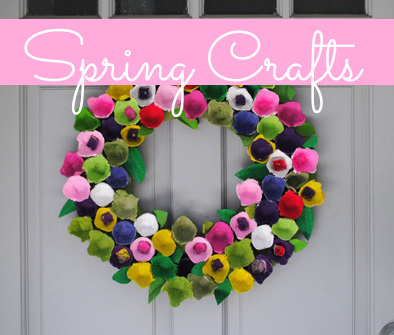 This entry was posted in Bunting & Garlands, Crafts, Holidays & Seasons, Home Decor, Kid's Crafts, Parties, Spring and tagged Bunting, Garland, Party Decor, Tassels on April 10, 2018 by Michelle.